Zformovaný ABS kufřík na soprano ukulele. Velice silný a s popruhem. 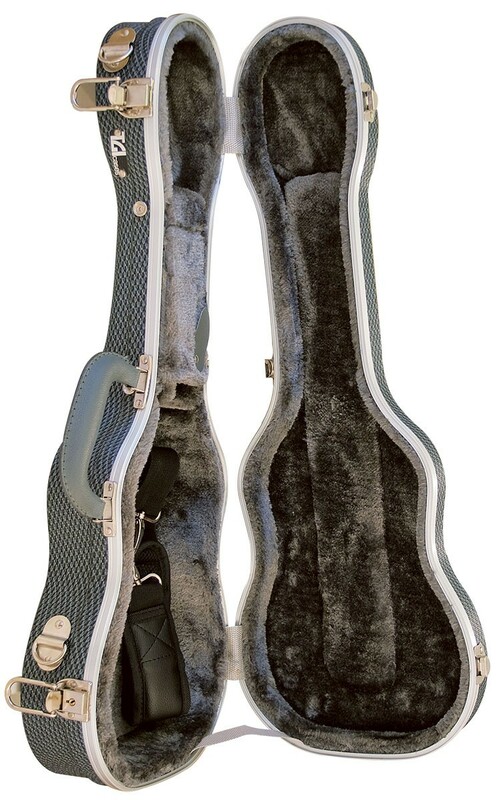 TGI ASB moulded hardcase designed for Ukulele. Tough Arched design for strength. Locking clasps, grab handle and shoulder strap. Plush lining. Length:58cm, Lower Bout:18cm, Upper Bout:18cm, Depth:6cm.